When a company acquires control over another company, then often a goodwill arises, too. You should present it as an intangible asset, but when you think about it carefully, a goodwill is not a typical asset, because unlike other assets, you cannot sell it to somebody, you cannot use it in your production process or to provide your services. Therefore, IFRS standards are quite strict about goodwill – for example, you need to test goodwill for impairment every single year (you do not need to test other assets, only when there are some indicators). Well, OK, but how to test goodwill for impairment every year? I respond to that question quite frequently, because although IAS 36 prescribes the extensive rules about goodwill impairment, it’s not so easy to understand the logic behind. Before we explain how to test goodwill for impairment, you need to understand what a goodwill is all about. The definition of goodwill from the standard IFRS 3 Business Combinations tells us that a goodwill is “an asset representing the future economic benefits arising from other assets acquired in a business combination that are not individually identified and separately recognized” (IFRS 3, Appendix A). Imagine an investor buying 100% shares in some company for CU 120 000. At the date of acquisition, the net assets of this company (or its fair value) amount to CU 100 000. As you can see, the investor “overpaid” – he paid CU 20 000 more than the fair value of a company is. Maybe the investor believes that there must be some “hidden” value, something extra that he pays willingly for. Maybe he believes that this “overpayment” for the investment will bring more returns or profits in the future. Therefore, the investor does not account for the “overpayment” as for the “loss” or some expense in profit or loss. Instead, the investor accounts for it as for a goodwill – a separate intangible asset. What to do with goodwill after acquisition? 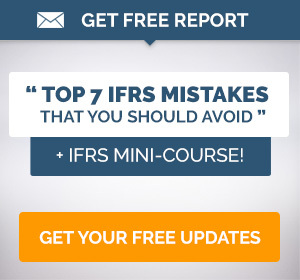 Some years ago, IFRS asked you to amortize goodwill, but no longer! You do NOT amortize goodwill. Instead, you need to test it for impairment annually, as the standard IAS 36 Impairment of Assets requires. Well, if an investor is willing to pay more than he gets, then he probably believes that the new business will generate enough profits to provide satisfactory returns even after the investor paid the premium (or goodwill). 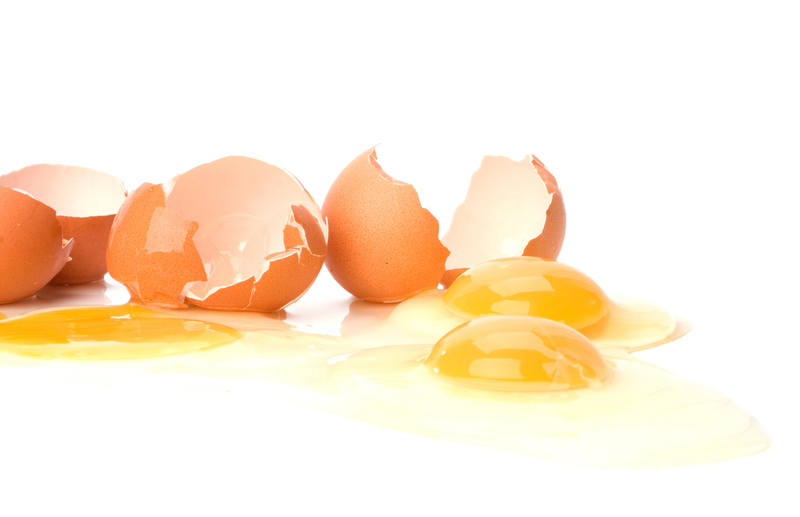 Is your new investment really generating sufficient returns? Is it worth it? Isn’t it overstated in your accounts? Your annual impairment test of goodwill will give you the answers. I don’t want to describe what’s the impairment testing about in a detail here – you can read the whole article about it here (with video). You need to compare an asset’s carrying amount with its recoverable amount (higher of fair value less costs of disposal and value in use). When the carrying amount is greater that the recoverable amount, then you need to recognize the impairment loss. Often, it is not possible to test an individual asset for the impairment, e.g. when it does not generate any cash flows on its own and you cannot determine its fair value. In this case, you need to test cash generating unit (CGU) – the smallest identifiable group of assets that generates cash inflows that are largely independent of the cash inflows from other assets or groups of assets (IAS 36.6). If your CGU is impaired, then you allocate the impairment loss to the individual assets. That’s the impairment of assets from the airplane. Now let’s take a closer look to goodwill impairment. You CANNOT test goodwill for impairment as an individual asset, standing on its own, because it is NOT possible. The reason is that you just cannot calculate the recoverable amount of goodwill. Because, goodwill is not an asset that you can sell to someone else separately –there’s no fair value. Also, you cannot really estimate goodwill’s value in use, because goodwill does not bring anything to the company, it has just been sitting there since acquisition. In other words, a goodwill is a specific asset that does not generate any cash flows on its own, independently of other assets. Your business would probably generate the same revenues/expenses whether with or without a goodwill, isn’t it? Instead, you need to look at its impairment testing as at some business valuation test, not as at goodwill impairment test. Simply said, you are required to compare the book value of your company or division with its revenue-generating ability (whether it is market value or projection of profits). Translating this to IFRS language: you need to compare the carrying amount of your cash-generating unit including goodwill with its recoverable amount (higher of its fair value less cost of disposal and value in use). What is a CGU including goodwill? 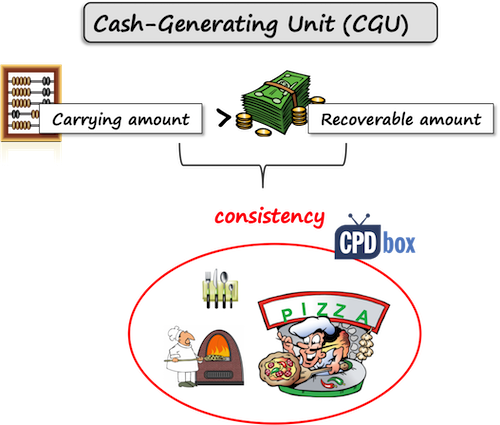 Typically, a cash-generating unit would be a company as a whole, but if there are some separate divisions generating independent cash flows, then your CGU would be a division. So if you buy a company with a few divisions and a goodwill arose, then you need to allocate that goodwill to each of the cash-generating units that are expected to benefit from the synergies of the business combination. However, each CGU to which goodwill is allocated should represent the lowest level at which the goodwill is monitored and it cannot be larger than an operating segment as defined by IFRS 8. Unfortunately, IAS 36 does not say anything about the allocation method, or how you should allocate the goodwill. In practice, there are more methods used, for example, you can allocate goodwill based on the fair value of CGU before and after acquisition and the difference represents the allocated goodwill. Alternatively, you can make a simple difference between the fair value of net assets acquired and the fair value of acquired business (or division). It’s quite demanding to allocate goodwill, so IAS 36 gives you one year to do so. After you identified you CGUs and allocated goodwill to them, then you can perform the impairment test. If the carrying amount is greater than the recoverable amount, then you need to recognize the impairment loss. 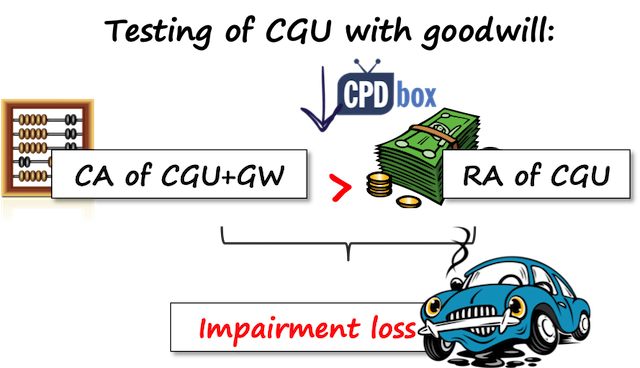 If there’s some impairment loss left, you allocate it to the individual assets within CGU on pro-rata basis. Just be careful not to reduce the carrying amount of any asset below its recoverable amount or zero. Please remember that you should NEVER reverse any impairment loss related to goodwill. Division Cland; net assets of CU 80 000. At the end of 20X1, an independent valuator estimated Cland’s market value to CU 67 000 and management projected Cland’s value in use to CU 65 000. Cost of disposal related to Cland would be negligible. Calculate the impairment loss of Cland and show how to recognize it in the financial statements of Mommy Group. Aland, Bland and Cland are all cash generating units to which goodwill was allocated. Here, we will focus on Cland only, but Mommy needs to test also goodwill allocated to Aland and Bland annually – just not to forget that. There is an impairment loss of CU 9 000 (CU 67 000 – CU 76 000). Note: Mommy allocated 50 000/71 000*4 000 = 2 817 of impairment loss to buildings. Similar calculation appies to equipment and other assets, too. Note – you need to allocate the impairment loss to the individual assets, so in fact, you are crediting some specific building or a piece of machinery. What if there’s a non-controlling interest? A complication arises when a parent acquired less than 100% shares in a subsidiary and there is some non-controlling interest. Full method, or at fair value. Your calculation of goodwill impairment depends on the method you selected for measuring the non-controlling interest. When you measure your NCI using the partial method, then the goodwill represents only a parent’s share of it. Therefore, in fact, you need to gross-up the goodwill to 100% before you start testing it for impairment. Because you need to compare 100% of CGU’s carrying amount with goodwill with 100% of CGU’s recoverable amount. If there’s an impairment loss of goodwill, then you need to reduce it to a parent’s share only. For example, let’s say that a parent has 80% in a subsidiary and you measure NCI by the partial method. The carrying amount of goodwill is CU 100 and the carrying amount of other CGU’s assets is CU 1 300. The recoverable amount is CU 1 400. It might seem that there’s no impairment loss, but not so fast – you haven’t grossed up the goodwill yet! As it’s 100% and it fully relates to the goodwill, you need to recognize only 80% of it, that is CU 20. When you measure the NCI using the full method, then the goodwill is stated in full amount as it represents both parent’s and NCI’s share on it. Therefore, no adjustment of goodwill is needed for the purpose of the impairment testing and the impairment loss is recognized in full. However, you need to be careful how you recognize the impairment loss. As a part of it is attributable to non-controlling interest, you need to split the entry in your consolidated statement of financial position between the retained earnings and NCI. In the profit or loss statement, it would be recognized fully as an expense. Let’s take a look to the same example as above, but this time, goodwill is stated in full, i.e. it is CU 125. Then the impairment loss calculation is exactly the same as above (without grossing up). The impairment loss of CU 25 is fully recognized in profit or loss. Do you have any questions or concerns? Please leave a comment right below this article. Thank you! well written article.i love the way you make it so simple. i think there is an error under Goodwill impairment with the partial method for NCI, you have mentioned the carrying amount of other CGU’s assets is CU 1 400. i think it should be 1,300.
thank you, glad you liked it! Yes, you are right, there was a typo, corrected, thank you! S.
Perfect approach, simple, to the point and effective. Amazing work Silvia. I’m curious, could there be instances of an impairment gain? How would it be treated? there’s no such a thing as an “impairment gain”. If the recoverable amount is greater than the carrying amount, you don’t book anything (unless you apply revaluation model, but that’s a different story). And, I stress that you cannot reverse the impairment loss of goodwill. S.
Thanks a lot Silvia !! It was another great article. I love you articles. Thanks for the article, very simple and easy to understand. Hi Silvia, Thank you for your great explanation on impairment. But there are a few issues I don’t understand. In your case, with the goodwill 150 plus carrying amount of other assets of 1,400 less recoverable amount of 1,400, why does the impairment loss come to 25, instead of 125? I am sorry, there was a typo as fathima correctly wrote up in the comment, but it should have been corrected by now. Goodwill is 125 (not 150), other assets 1300, less recoverable amount 1400 = 25. As for the second part: if a company has divisions that meet the definition of operating segment under IFRS 8, then your CGU must represent at max. such a division. For example, you cannot group 2 divisions being operating segments and say that OK, I allocate goodwill to this group of 2 divisions. You can’t do it because they are 2 operating segments. I have a question , the company has only one CGU,the goodwill has not been allocated to that CGU, During impairment testing of the Goodwill, how to calculate the carrying amount of that CGU? What amounts to be included? Is it asset less liabilities excluding goodwill ? can you give me some example of that situation – only one CGU + unallocated goodwill? In this case, why did the goodwill arise? Thanks. S.
In your case, If there is real Goodwill as per IFRS 3 and it is not appropriate for you to alocate to CGUs, I would say, It has to be allocated to the acquired Co. as a whole (i.e, acquired entity as one CGU) and Impairment has to be tested by adding the Goodwill to the company’s carrying amount and comparing it to the recoverable amount of the acquired entity. However, you can’t have internally Goodwill. As clearly explained here, it can ONLY arise from business combination transactions. I am saying this suspecting your question might be referring to an internally generated Goodwill. Thank you Silvia. Great job as usual. 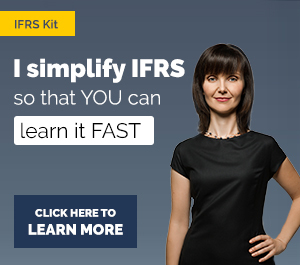 Hi Silvia, just want to say you’re wonderful, making IFRS so easy to understand! Your article is excellent and I benefit a lot. In the article, you mentioned that the management made a projection of Value in use in regard to the asset . Assuming that the asset is an investment in Associate. What is the most appropriate way to project its Value in use, considering that the investment is expected to be held for quite some time, which has not yet been determined? for associates, I recommend looking to standard IAS 28, paragraph 42 – this specifies that you can use one of two alternative methods for determining value in use for an associate – either discounted dividend or discounted cash flow model (meaning that you estimate cash flows generated by the associate). And it is also stressed that both methods should give you the same results. S.
For the illustration of Goodwill Impairment with the partial method for NCI, carrying amount of goodwill =CU 125 Add carrying amount of other assets=CU 1,400, the total will be=CU 1,525. If CU 1,525 less recoverable amount of CGU: -1,400, the balance of impairment loss should be CU125, right ? Yhoong, but the example says that the carrying amount of other assets is 1300. But yes, if carrying amount of other assets is 1400, you are right. S.
Asanka, I wrote in the article that you cannot reverse an impairment loss on goodwill. S.
Thank you for enlightening me on the complex IFRSs as you always do. For assessing the value in use regarding the subsidiary on the company level financial statement, could I also adopt either the discounted dividend or discounted cash flow model like the way we deal with associates? Thank you for the article on goodwill. I like the way you have explained and really appreciate you for your command on IFRSs. I really appreciate the way you explained Goodwill impairment. It is very clear. However, when we are talkin about Goodwill allocation, I don’t know if we should allocate it to the acquirer CGU or the acquiree CGU or both. Thank you in advance. I very much look forward to hearing from you. 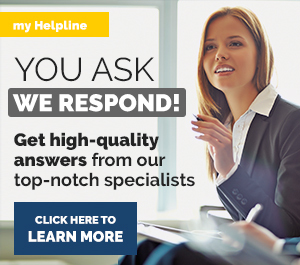 When should the company access impairment eg first year of acquisition? At the end of each reporting period. Even in the first year of acquisition. Hi Sylvia, very informative and analytical. So if a company purchase 100% of a business that is not combined with its other businesses then that specific operation will have to adjust its specific assets for any impairment. So should we really be recording goodwill ? Yes, Bernadette. Even if you adjust for impairment, you can still have some goodwill left – it depends on the specific numbers. S.
Rac, it should work, but then you need to take just 80% of recoverable amount and the result will be the impairment loss (no need to calculate proportion). I’m afraid no, feasibility study is like a research and is not capitalized. S.
My teacher told me that in the proportionate method, the adjusted profit of subsidiary is not affected by goodwill impairmentbut while in the full goodwill method adjusted profit of Subsidiary is affected by goodwill impairment. I want to know the rationale behind these treatments. Could you please elaborate? Thanks a lot. Also please include a section for typical (simple) disclosures. Wow, thanks for making it so interesting and simple! Hi Salvia, great article! Thank you for such a detail explanation. I just curious why the journal entries for proportionate method is debit to Profit or loss but not retained profit as per your slide? Can you provide me with an idea if the goodwill is arose when the shareholders establish the entity with the initial cash funds (investments) and so far do not have any earnings yet? Hmmm, I can’t imagine such a situation. S.
silivia wether we not reverse internally generated good will? or the good will which we accquire in in accordance with ifrs 3-10. or both can not be reversed? Hello Silvia, Incredible explanation. Thank very much for sharing this article. In the testing of goodwill for impairment and the calculation of the value in use, One approach that comes to mind is the use of a free cashflow because it satisfies the requirement of IAS 36. However, my main concern is if we are to use a free cash flow to the equity(FCFE) or the free cash flow to the firm (FCFF). Why I ask this question is because the standard gives an option of using the Weighted Average Cost of Capital. This seems to fit into FCFF. My concern flows to the fact that goodwill acquired would have made significant reference to the equity value. In your view, between the FCFE and the FCFF, which is possible? OK, I would say FCFF is more appropriate, because the value of the company is relevant not only for equity holders, but also for debt holders. FCFE is lower than FCFF as it excludes the cash for debt payments, and if you use it in the impairment testing, you could have some impairment loss which is probably irrelevant, as debt holders could still get their money back.S. Hi Silvia, understand that the total carrying amounts of CGU (say a subsidiary) is Net Tangible Assets + goodwill. What if the subsidiary has negative NTA, can we calculate the total carrying amounts as net, e.g. 1,000 of goodwill less negative NTA of 480= 520? If the recoverable amount is zero, should we impair the full 1,000? Thanks Sylvia for excellent clarification. We have already taken goodwill impairment loss to P&L, then why are we passing an entry for retained earning and NCI debit with goodwill. As the P&L share will allocate to both otherwise in proportion of their holding. I would like to understand very basic thing that how we can apply full method for NCI and recognize full goodwill in our consolidated books since we need to know the value of investments purchased by other shareholders to determine the total investment value (Investments purchased by us + investments purchased by other shareholders) and then we deduct fair value of assets acquired from this value. Determining value of investments of other shareholders may not be practical. Hi Ramneek, you actually need to know the fair value of shares, not the value of investments purchased by other shareholders. Practically, this is determined by looking to the stock exchange prices of quoted shares and then you calculate the fair value of NCI as n. of shares attributed to NCI x market value (fair value) per share. However, if the shares are not quoted, you can still determine the fair value of a company (subsidiary) as a whole thing and then calculate the fair value of one share. Anyway, what I saw in practice, in most cases the companies use proportional method for NCI if the shares are not publicly traded. Best, S.
Under partial method, when testing impairment of goodwill against fair value less cost of disposal, do we need to regross the cost of disposal? If I am preparing 9 months audited accounts, will I be testing good will for impairment ? in my case, My company bought own distributer company in 2005, Big goodwil is arised when it becomed. later parent company made restructure in staff transferring from distributor company to parent com. as a result of it, distributor company is just a name company. but they have very small service. parent company still never impaired goodwill. how we impair it ? pls suggest me. in my opinion, we need to make adjustment abot goodwill reducing retained earning. can this be in accordance with this standard?